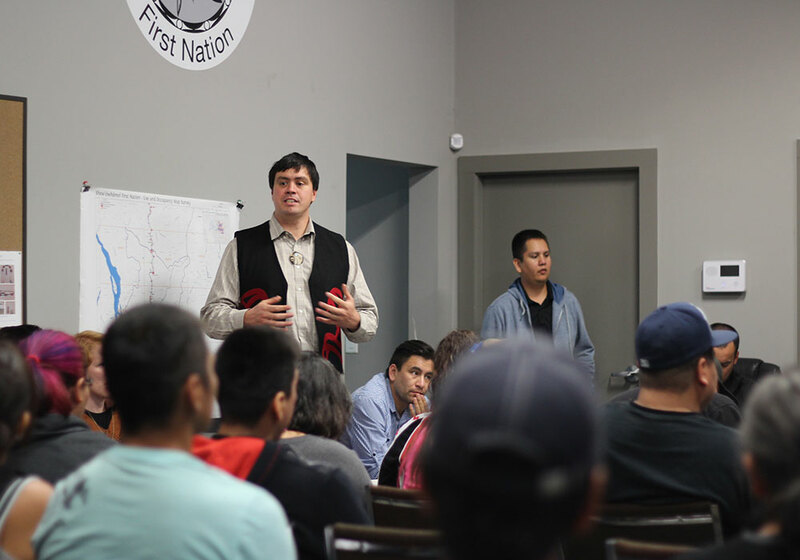 Shxw’ōwhámel First Nation’s Siy:am Council worked with us to engage their members to achieve and informed decision on their proposed agreement with Kinder Morgan. The project is controversial and the council and community was split on the proposed Impact Benefit Agreement. We worked with Shxw’ōwhámel and engaged 95% of their voting age members through door-to-door, family meetings, phone calling, and online methods prior to the vote. The vote was conducted in person, by telephone, and online to maximize participation. After the 62%-in-favour result, the community accepted the decision and moved forward to implementation of the agreement. We achieved FPIC (free prior informed consent) thresholds and helped move an Indigenous community to an informed, solid decision. Informed members: an intensive 5-week program of communication and engagement using as many tools as possible with some neat ‘tricks’ For example, research shows people are more likely to open hand-written envelopes, so we wrote out everyone’s address on initial information. Made voting easy and secure. Members could vote online, in person and by phone. Everyone had a unique PIN to increase security. The community accepted the decision, even though not everyone agreed with it. Members voted on the day, with 62% voting to accept the proposed agreement with Kinder Morgan.